From a small home to an industrial power plant Pals Electric Inc. has a backup power solution to fit your needs and budget. We service what we sell. With factory trained and master certified technicians on staff, you know we are here anytime you call. We offer full maintenance agreements, so you always have the piece of mind that you are covered in the even of a power failure. Have an existing generator? No problem! 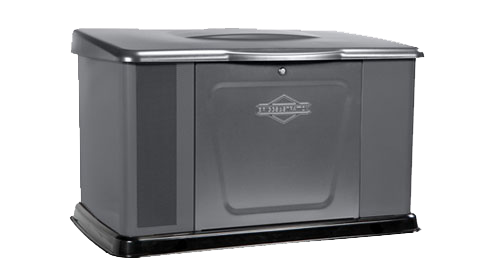 Our technicians have the experience to service almost all makes and models of generators. If your family is looking for a standby generator that can power more than just the essentials, the 10K or 12k standby generator system is the perfect solution for you. The 16kW1, 20kW1, 25kW1 & 35kW1 seamlessly provides backup power to your home within seconds of a power outage. Lights, TVs, washer and dryer - even two 5-ton AC units - are easily and automatically powered. Designed to handle the needs of the largest high-tech luxury homes, the liquid cooled 60kW1 standby generator system can power it all - no problem. 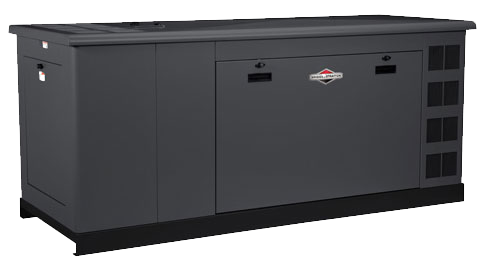 Its commercial-grade GM Vortec engine provides reliable backup power. Few scenarios for a family are met with as much universal frustration as waiting out a power outage in the dark. A power outage interrupts a family's daily routine and forces life to be put on pause until the power returns. Standby generator systems prevent that. Period. A home standby generator system consists of two products: a standby generator unit and an automatic transfer switch. The two work in concert with your home to ensure when power is lost, it’s only for a matter of seconds before backup power kicks in. A standby generator system and automatic transfer switch are professionally installed to your home’s existing wiring. Constantly at the ready, the system senses when utility power stops flowing to your home for any reason, thus sensing a power outage. Within seconds, the automatic transfer switch seamlessly transfers your home’s selected electrical circuits and appliances to backup power. Once the generator system senses utility power is back online, your home is automatically transferred back to utility power and the standby generator is shut down until it’s needed the next time. Trust. Reliability. Innovation. For more than 105 years Briggs & Stratton has been bringing all three to America’s homes and yards, establishing a reputation as the engine experts and as a celebrated home generator brand. With an emphasis on innovation since its beginning in 1908, Briggs & Stratton has become the world's largest producer of air-cooled gasoline engines for outdoor power equipment. Today Briggs & Stratton powers everything from standby generator systems, lawn mowers, pressure washers, and many other outdoor power products. Our unwavering commitment to customer service is proven by an expansive network of more than 2,500 authorized Briggs & Stratton dealers. 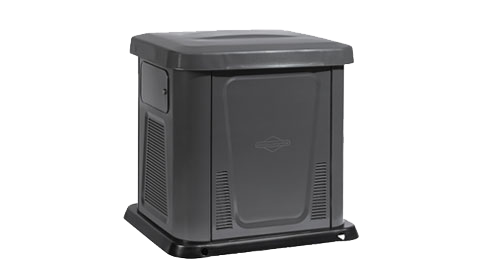 By choosing Briggs & Stratton over other home generator brands for your standby system, you can rely on a local generator expert to guide you through every step of the purchase process and beyond.